Apple today announced a much anticipated refresh to Apple Music at its WWDC event. Apple Music has found itself at the centre of long running criticism from many parts due to its perceived product weaknesses. This is the bar against which Apple is measured. It has spent years building a well earned reputation for high quality products so its users understandably measure its services by the same standards. Apple Music was a highly ambitious version 1.0 that has since been iterated to iron out user journey kinks. Now today’s feature announcements look set to move Apple Music onto its next stage. As an early follower rather than a leader Apple always sets itself the challenge of being measured against incumbents that have had years to refine their product offerings. With hardware, Apple normally meets and exceeds those standards. With Apple Music it launched a product that was light years ahead of where most of the incumbents were at launch, but that didn’t compare as favourably against their current offerings. Google Music Play All Access faced a similar challenge. 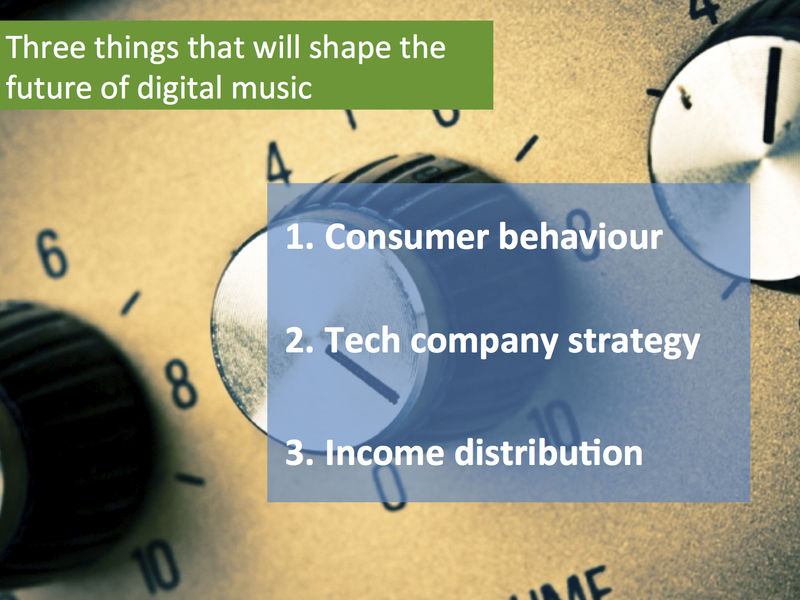 The streaming music market has evolved so much since Spotify and Deezer’s inceptions that a music service cannot now afford to simply launch with the basics. It must do so much more. The revamped Apple Music includes a new simplified white interface, lyrics integration and better interaction with cloud libraries (a long running bug bear). These are not exactly step change innovations but they are a significant move forward in what is proving to be a process of continual change. Ultimately this update is about making Apple Music more intuitive and for it to make more sense to mainstream users. Is all this enough to blow Spotify and Tidal out of the water? No, but add in Apple’s bottomless pockets for exclusives and marketing, and you have a potent mix. Apple also announced a subscriber milestone, hitting 15 million subscribers. The number suggest that Apple’s growth is beginning to outpace that of its key challenger Spotify. Last year I suggested Apple would reach 20 million subscribers by the end of 2016. These numbers show it is well on track. Apple could yet be the leading music service by the end of 2017 if it starts to fully leverage all its ‘unfair advantages’. 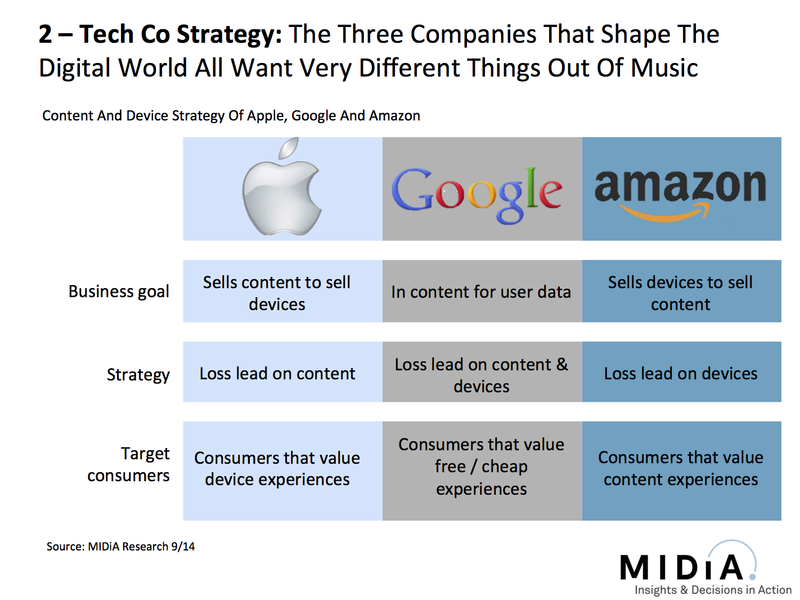 Apple Music matters to Apple not because it will generate large profits (it won’t) but because it is the pace setter for Apple’s strategic shift towards being a services company. Apple is building a new narrative for Wall Street that focuses on the revenue it generates from its existing customer base (in order to distract attention from slowing device sales). Apple Music is the proof of concept. 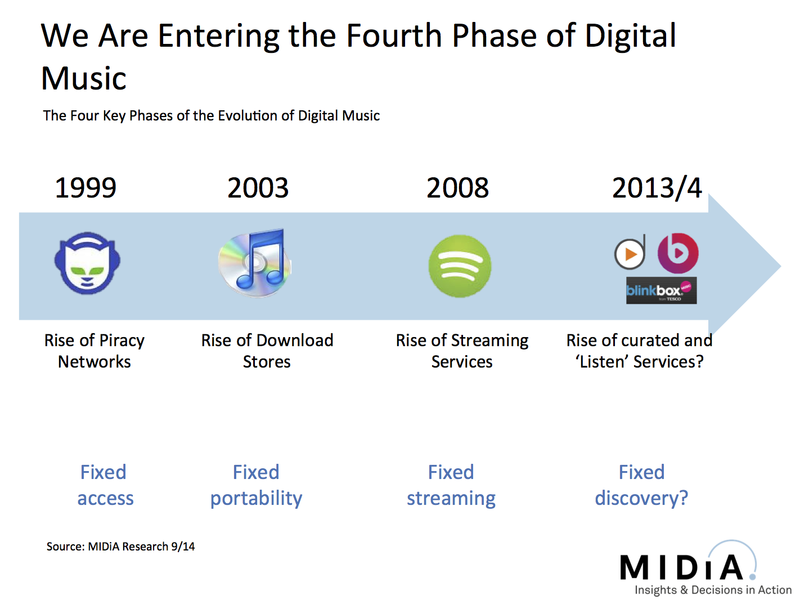 If it gets Apple Music right it will demonstrate its ability to deliver on best-in-class digital services. And because Apple still hasn’t been able to launch its TV subscription (it instead launched a partnership integration with Sling TV) it needs to get Music right until it is able to get the requisite TV deals in place. This why the stakes are so high for Apple Music. Get it right, Apple re-establishes its market leadership role. Get it wrong, Apple’s own rescue plan goes down the pan. Music was so important to Apple in the mid 2000’s because it helped sell the iPod which in turn became the platform for growth that Apple trades upon today. Now 10 years on music has just reassumed its importance, this time to help sell Apple itself not just its hardware. Following weeks of licensing announcements, Soundcloud has finally launched its premium subscription service, a $9.99 tier ($12.99 on iOS), currently only in the US. The move is both encouraging and disappointing. Soundcloud has a truly unique market footprint and has the potential to be a platform for an entirely new approach to monetizing streaming music. But it is also a poor fit for a cookie cutter $9.99 freemium model. Artist-first experiences: Unlike its now-direct streaming competitors Spotify and co, Soundcloud is an artist-to-fan platform. Most streaming services are effectively a music-store-meets-HBO hybrid. A place you go to get music. 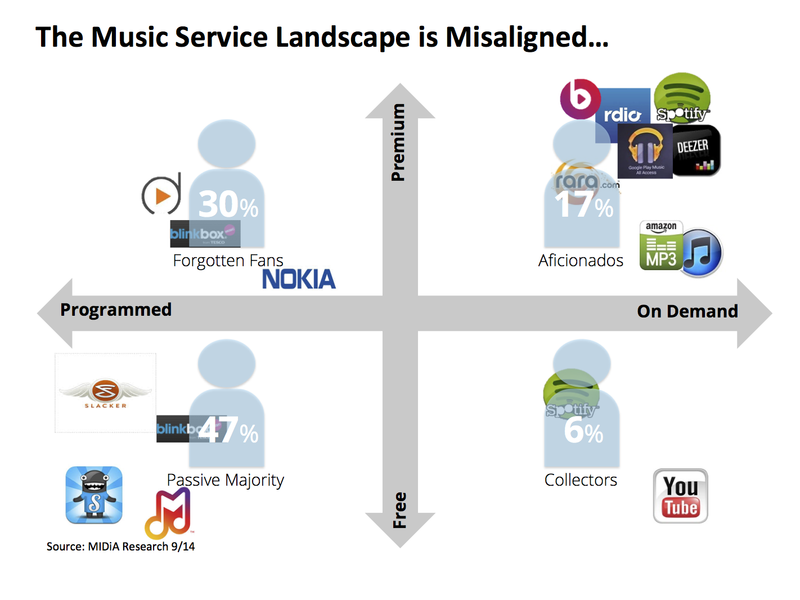 Music as a service, or even a utility. Soundcloud is that as well of course, but it is first and foremost it is a place where artists connect directly with their fans. A $9.99 All You Can Eat (AYCE) is not the right model for a place where fans go to engage with artists rather than looking to turn on the water tap. This is a pivot for Soundcloud: Unlike Spotify and Deezer, whose free tiers have long been geared towards driving subscriptions, for Soundcloud this is not a funnel tweak, it is a pivot. It is a complete change in strategy. Competing against free: The problem with giving something away for free for years is that its really difficult to convince people to start paying for it. It is the same challenge YouTube faces with YouTube Red Which is why instead of simply whacking a pay wall around previously free content, YouTube is investing so much in creating new original content only available on Red. In short, Soundcloud needs to explore how it can deliver new, unique value to paid users rather than simply charging them for what they already get (plus a few convenience features). Non-traditional content: Soundcloud’s strength lies in the music that you just don’t find elsewhere, much of which also happens to be dance music. All of the mash ups, bootlegs, un-authorized remixes, 2 hour long mixes are what make Soundcloud such a valuable component of the music landscape. The only problem is that most of them are not covered in standard major label licenses. In fact, many of them aren’t covered at all. Even Dubset, which is trying to build a business around this type of non-traditional content, hasn’t yet been able to get a full suite of licenses in place. For now, it appears that the majors are willing to turn a blind eye to that content. Which raises an interesting question: who gets paid for the revenue generated by unlicensed tracks? Major labels are shaping an indie platform: Major label content is a massive part of Soundcloud but not the majority. In fact, in dance mixes majors typically account for only 30% of the tracks. Yet it is the major labels that are shaping the future of Soundcloud, forcing it down a road that works well for majors on the AYCE services but could skew Soundcloud against its indie community. No doubt, Soundcloud had to get licenses in place. It had traded on label good will for long enough. But the current model will not maximise Soundcloud’s vast potential. Instead of Spotify-like 15-20% conversion rates instead expect King and Supercell-like 1.5-5% rates. Let’s hope this is simply a hygiene release, preparing the way for a set of products that fit Soundcloud like a glove rather than odd boots. What could a next iteration look like? Well for a start it could be artist focused and secondly it could be cheaper. Imagine a $4 a month, 5 artist subscription that gives you everything by your favourite artists, including premium-only exclusives. Every month you can swap any number of those artists for different ones for the next month. That is the sort of thinking that needs to be applied to Soundcloud’s subscription business if it is going to live up to its capabilities. The alternative is being condemned to being a freemium also-ran. The continued media feeding frenzy around Jay-Z’s TIDAL demonstrates just how valuable star power is for cutting through the clutter. What has helped sustain interest is Jay-Z’s vision for delivering better value to artists and better experiences for music fans. It is a tall order given that TIDAL has to operate under the same basic licensing framework as all other streaming services, the nub of which is paying c. 70% of all revenues to rights holders and having no control over how much of that gets paid back to artists and songwriters. Working within the constraints of the standard subscription model TIDAL will quite simply not be able to deliver on its aspirations. But if TIDAL is willing to create a new model to layer on top of it, then it can do something truly transformational. Here’s how. First we need to look at the issue TIDAL has to fix. The problem with streaming services is that they inadvertently weaken music fans relationships with musical works. In the pre-streaming, music sales model consumers paid for an album or single and matched their cash investment with an investment of time in listening to it. The alternative was to listen to their older music collection or the radio. So even duff albums not only got money spent on them, they got listened to a few times by their buyers. And even if they didn’t get listened to even once the artist still got paid. So a portion of music sales revenue had no relationship to the quality of the music. 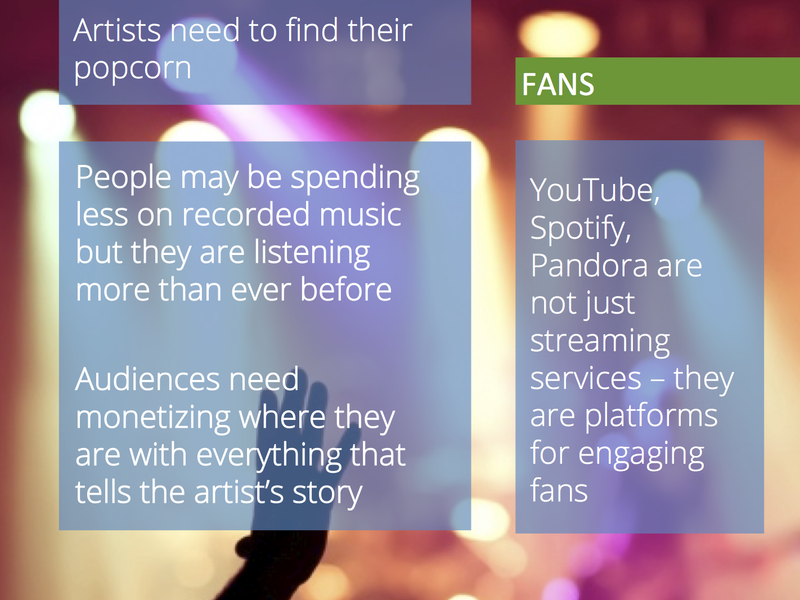 Streaming changed that, effectively making the music itself more accountable to its audience. 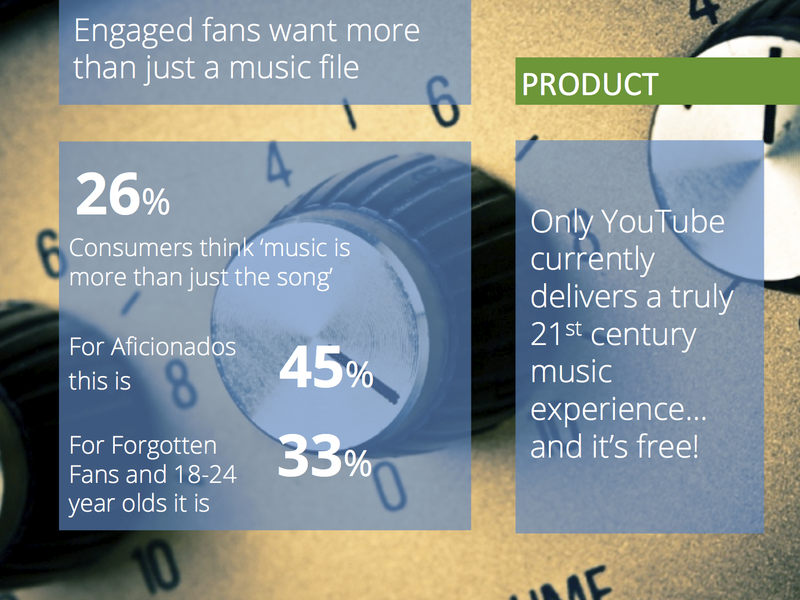 With streaming, music fans don’t need to waste time listening to music they don’t like upon first listen. They can bypass the duff. They also tend to listen less to any single piece of music in general because they have so much other music to choose from at no additional cost. 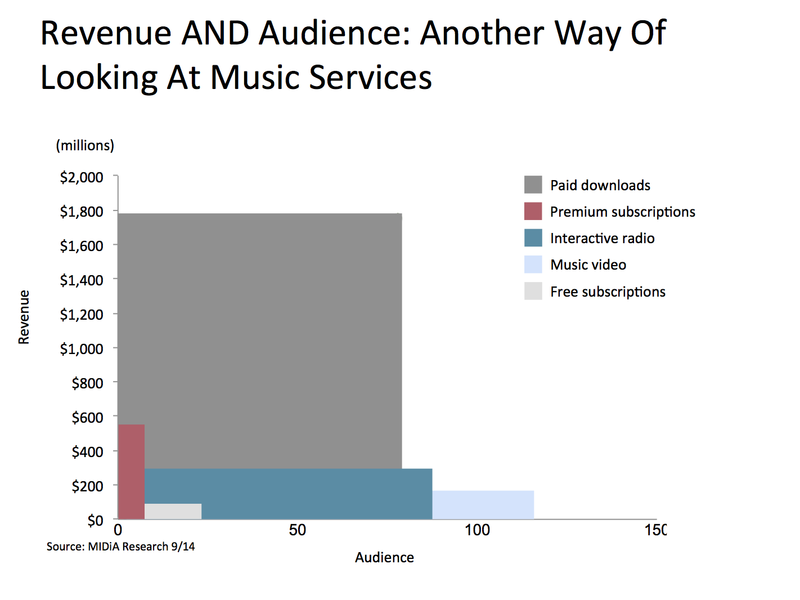 Artists earning a 150th per stream of what they earn from a download is thus only part of the problem. Most of the time their mainstream fans (and by that I mean not their top 10% of super fans) aren’t listening to them enough. Artist channels: Earlier this year I laid out a vision for artist subscriptions. In this model subscribers pay an additional fee (say $1 or $2) to their standard streaming subscription to get access exclusive programming, content and other experiences from an artist. Subscribers choose from a selection of artist channels and subscribe individually or pay for a bundle. Think of it like adding sports or movies to your Pay TV subscription. Additional content: Because subscriptions already give you access to all the music in the world (well most of it) subscribers will not be paying their extra $1 or $2 to get to the artist’s music. (Taking the music out of the core subscription and locking it into premium channels is a bad idea and doesn’t fix the artist income issue as we’ll see in a moment). Instead fans will be paying for a mixture of additional content (live streams, interviews, acoustic sessions, photos, videos, games, curated playlists, mobile content, handwritten lyrics etc.) that will be delivered as a curated, programmed whole. These channels will need to ascribe to the D.I.S.C. principles i.e. they music be Dynamic, Interactive, Social, Curated. 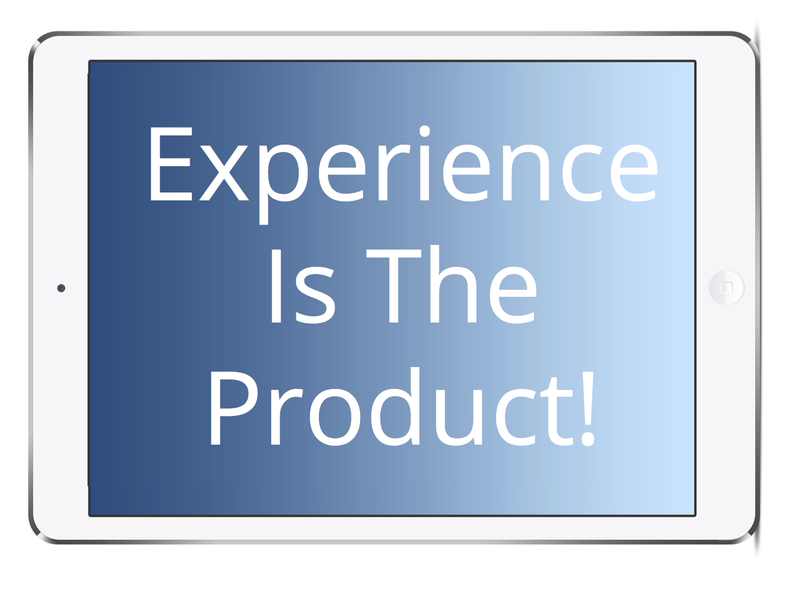 Sure each of the individual components could probably be found somewhere on the web but the real value is the entirety of the experience. 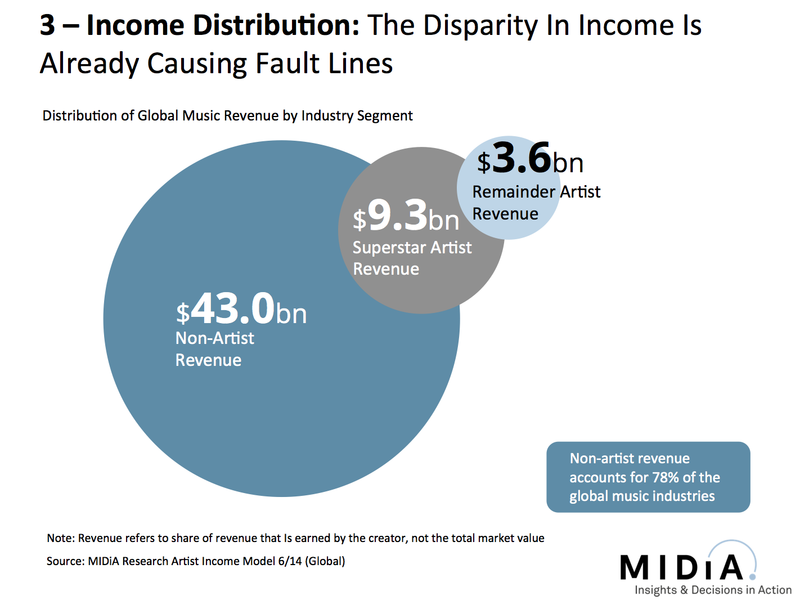 Artist revenue share: Where this model gets really interesting is how artists get paid. If all the additional content that is delivered is outside of the standard label catalogue then TIDAL could, after some basic costs are accounted for, split the entire additional $1 or $2 subscription fee 50/50 with the artist. Or if TIDAL is that serious about making things better for artists, they could give all of the net profits to the artist. (Label 360 deals might complicate things a bit for some artists but they will not account for large percentages). Just how songwriters would benefit is a bit more complex as many artists have multiple songwriters etc. but TIDAL could set aside a songwriter pot to be distributed based on plays of the artist’s core music. Right now TIDAL is a music service pretty much like the others but with bold ambitions. This is one way that TIDAL can turn worthy words into meaningful actions. There aren’t too many other ways it can do so. And of course any of the other streaming incumbents could do this too. The difference is that that they have had a lot of time to do it and have not done so, yet at least. So TIDAL, come show us how it is done. Over to you Jay-Z. Over the next few weeks I will be writing a series of posts that illustrate what lessons the music business can heed from other industries. This is the first of these posts. Beer sales have been in steady decline for many years with the big brewers coming to terms with changing consumption habits of consumers and the impact of disruptive new models. Sound familiar? The dynamics of the beer industry bear remarkable similarity to the recorded music business and there are some lessons that can be learned. Beer sales have been declining since 2008 with the core baby boomer consumer base changing consumption habits and drinking more hard liquor and wine. In the UK the amount of beer drunk has fallen by 20% over the last 10 years while US beer sales have been falling since 2008. The number of new breweries went into decline and after years of acquisitions and mergers the bigger-than-ever brewers started to feel the pinch. Again the parallels are clear. Against this doom laden backdrop there has been a standout good news story: craft brewing and micro breweries. Predominately small independent brewers this market segment has been growing strongly, albeit from a small base, in the last few years. Craft beer sales in the US grew by 10% in 2012, 17% in 2013 and 18% in 2014. In fact 2014 was the year that craft beers broke through to double digit market share (11%) for the first ever time. Craft beers are catering for a market of discerning drinkers, whether they be hipsters or real ale purists, who are willing to pay more for quality and uniqueness. Craft beer is like the music industry’s indie sector and vinyl sales rolled into one. What gets interesting is that the big brewers are realising that if you can’t beat them then you need to join them. So the craft beer growth is not just down to plucky little cottage industries but also the big brewers opening their own micro breweries and creating their own craft ales. In fact some mid sized brewers have gone one step further and stopped producing their own mainstream beer brands, instead having them brewed on license by the big brewers, allowing them to focus on craft ales. The margins on an increasingly commoditised market simply don’t add up unless you can bring vast scale to bear. So the similarities are clear. But there are differences in all this too. I was careful to emphasise that craft beer is like an amalgamation of vinyl and indie. It is both a product strategy pivot and a business culture pivot. What the beer industry is realising is that while there remains a mainstream majority that will continue to drink mainstream beers, the economics of that sector are challenged which means that it is hard to bear the effect of even modest negative trends. The beer industry hasn’t gone out and started finding its equivalent of playing live and selling t-shirts, instead it has looked at how to reinvent its core product to make it relevant to the new generation of its most valuable customers. And the effects are beginning to be felt at a market level. Beer consumption actually grew by 1% in 2014 in the UK and US sales were up 0.5%. 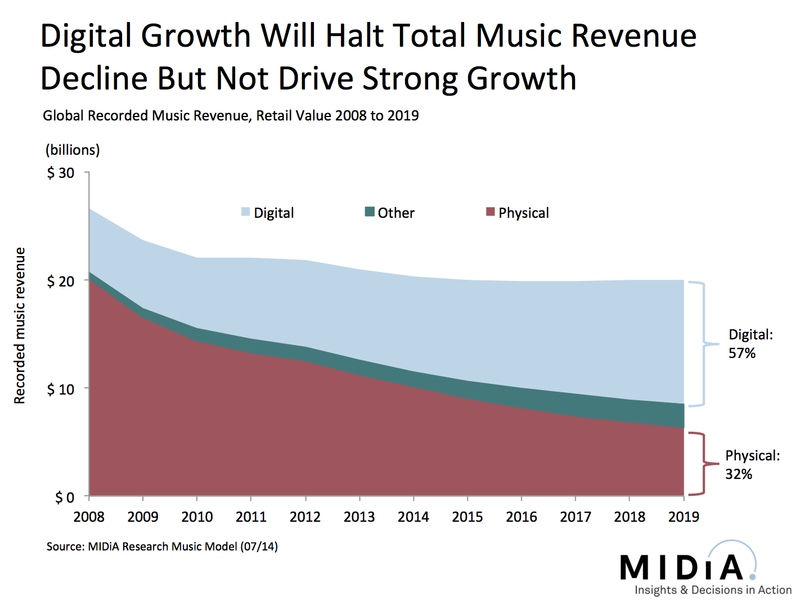 This is what needs to happen with recorded music, not just reinventing the sales and acquisition channel (which is fundamentally what the entire history of digital music sales has been about). The beer aficionado and the music aficionado are more important to their respective industries now than they have ever been and this will only increase. The beer industry is dragging itself out of recession by super serving its super fans. Artists have been doing the same for years with the likes of PledgeMusic, BandPage and now Paetron. 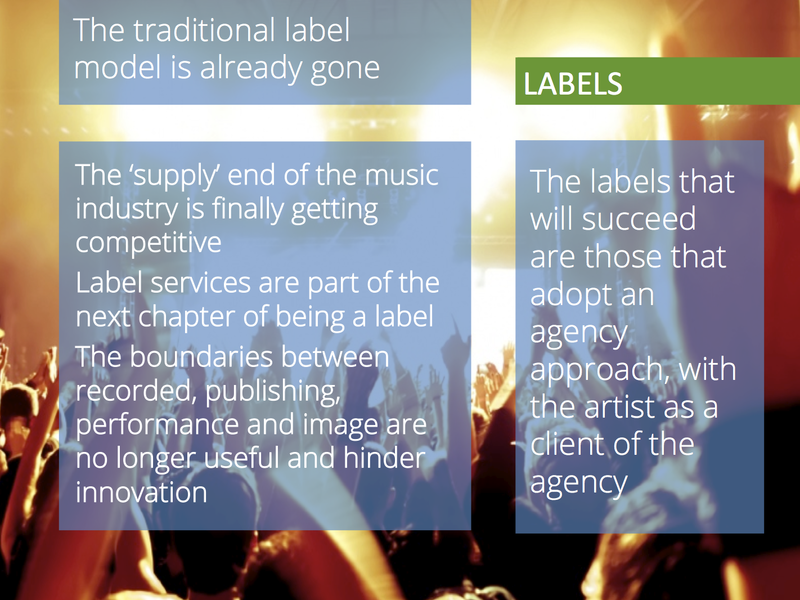 Now it is time for the labels and music services to do the same by working together to create a new generation of music products, such as that I laid out the vision for here. But this must also be part of a cultural shift, from treating the artist as employee to that of an agency – client relationship, a model that many label services and indie labels are already pursuing. Of course the recorded music industry has to grapple with other extenuating factors such as the contagion of free and competition for spend from live. But even with these considerations, it is clear that music industry now needs to find its craft beer.